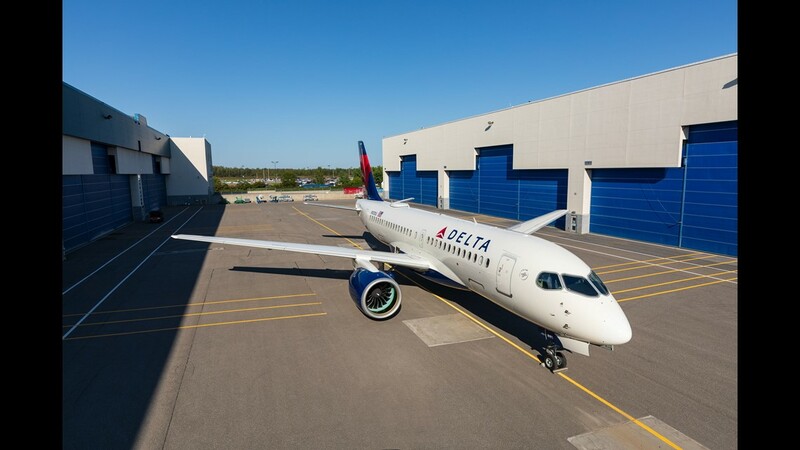 Delta's first Airbus A220 (formerly known as the Bombardier CSeries) rolled out of the paint shop in Mirabel, Quebec, on Sept. 13, 2018. 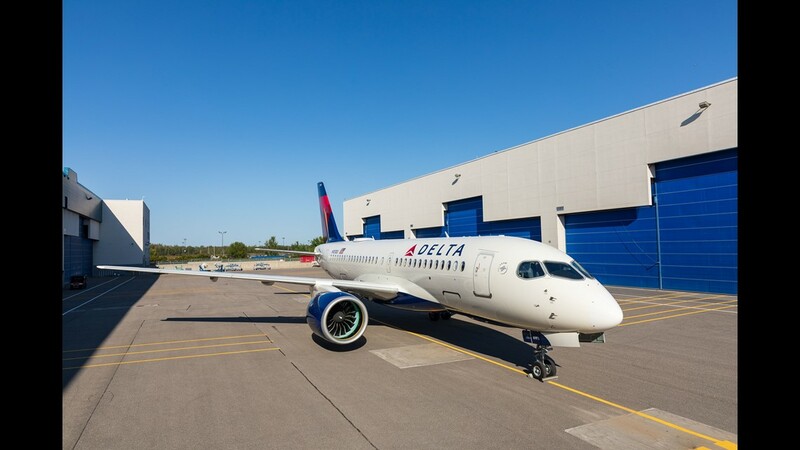 Delta Air Lines’ newest aircraft type – the Airbus A220 – rolled out of a Quebec paint shop with a Delta paint scheme for the first time Thursday evening. 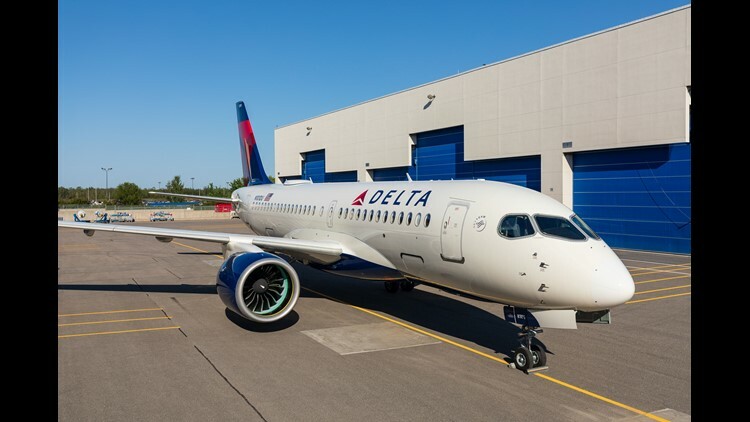 The aircraft, known as the "Bombardier CSeries" until it was rebranded in July, is expected to begin flying for Delta in early 2019. 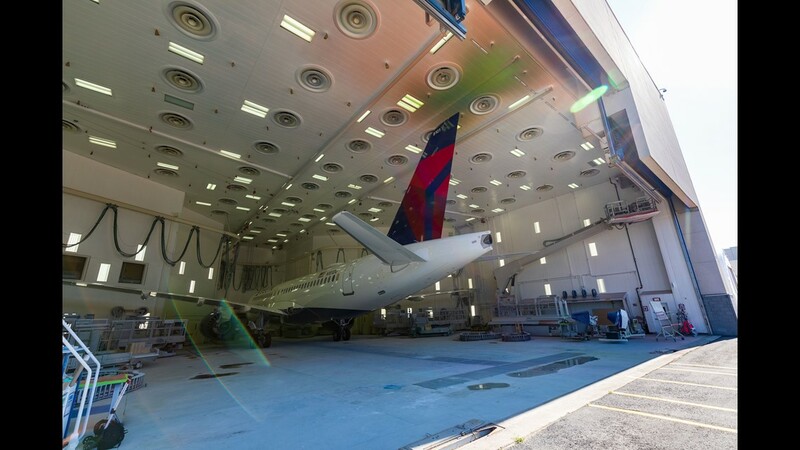 Delta says the A220 painting process took nine days, 200 rolls of masking tape and 165 gallons of paint to complete. The next stop for the plane unveiled Thursday is a trip to final assembly in Mirabel, Quebec, near Montreal. It will then begin flight-testing later this fall. 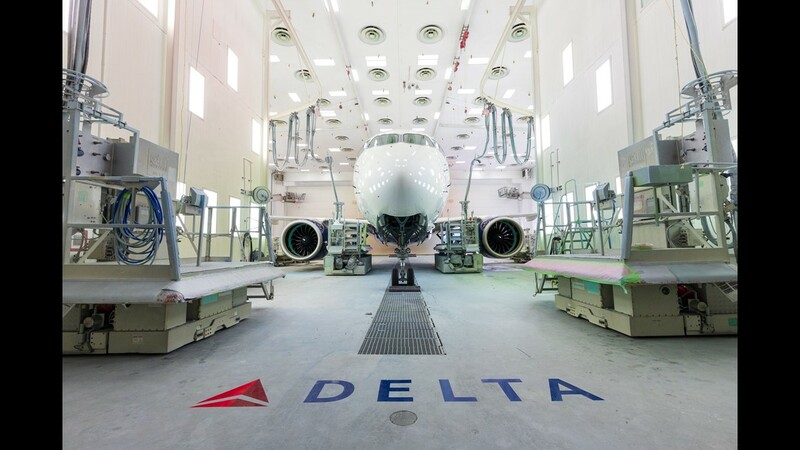 Delta is the first U.S. carrier to order the jet. 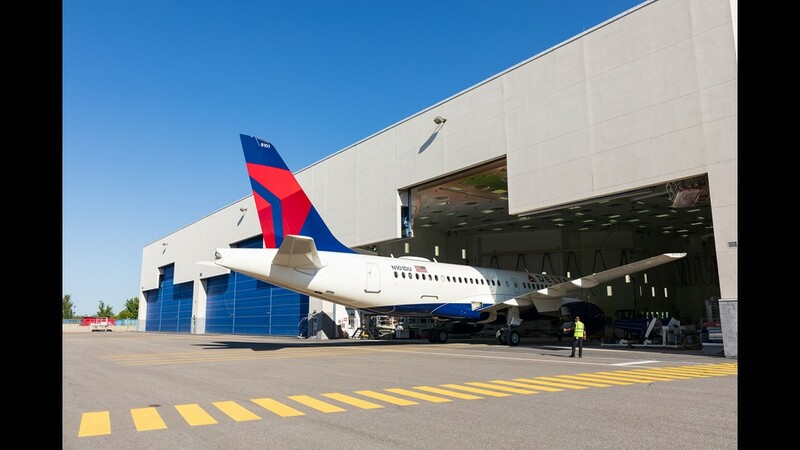 Delta’s order for at least 75 the aircraft threw a lifeline to the then-struggling CSeries. 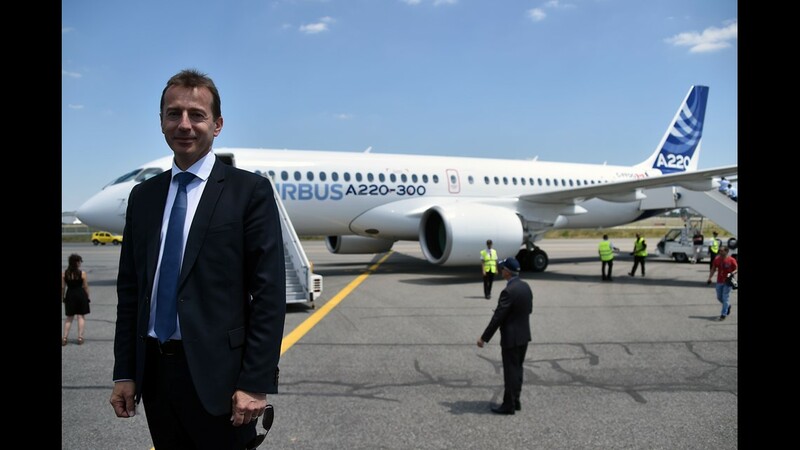 Airbus has since taken a majority stake in the aircraft line, which precipitated the new name. 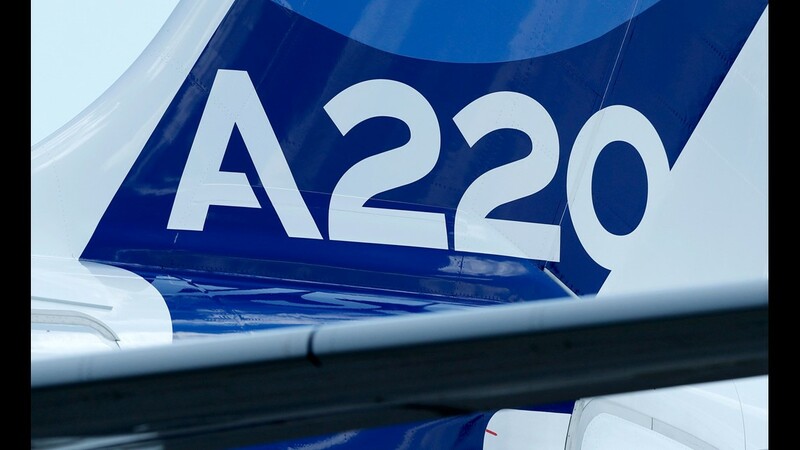 The tail rudder of a new Airbus A220-300 aircraft during the presentation of the new Airbus A220-300 at Airbus's delivery center in Toulouse, France, on July 10 July 2018. 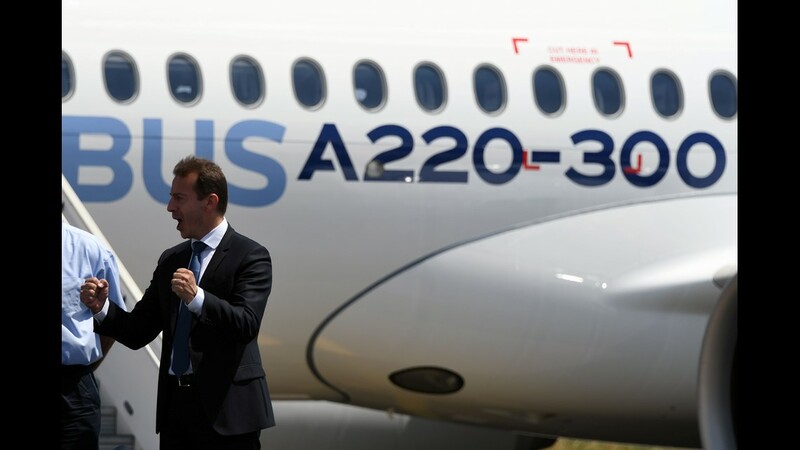 An Airbus A220-300 flies at a renaming ceremony for what was the CSeries on July 10, 2018 at the Airbus delivery center in Toulouse, France. 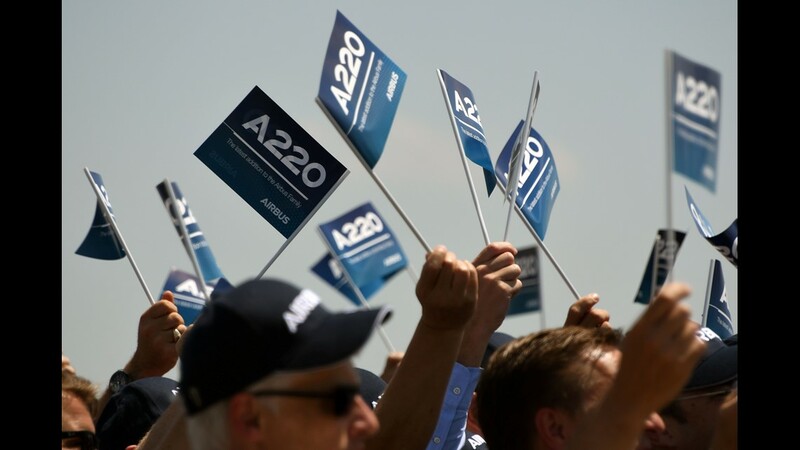 People wave flags during the renaming ceremony for the Airbus A200-300 (formerly Bombardier's CSeries) on July 10, 2018 at the Airbus delivery center in Toulouse, France. 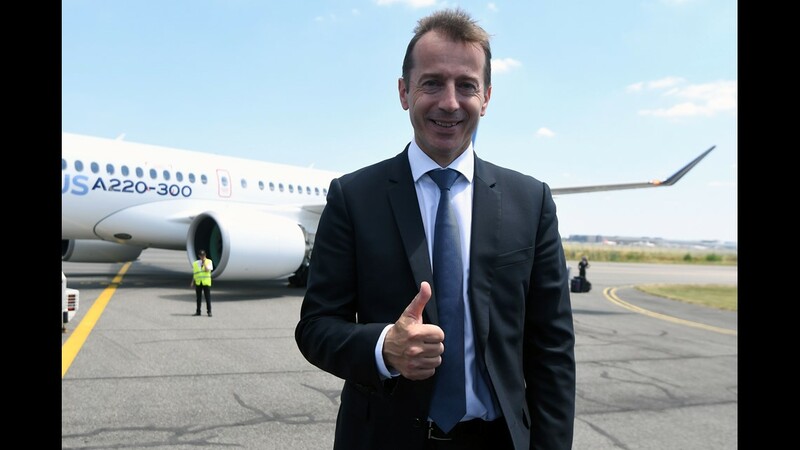 Guillaume Faury, President of the Airbus Commercial Aircraft, poses during the renaming ceremony for the Airbus A220 (formerly Bombardier’s CSeries) on July 10, 2018 at the Airbus delivery center in Toulouse, France. 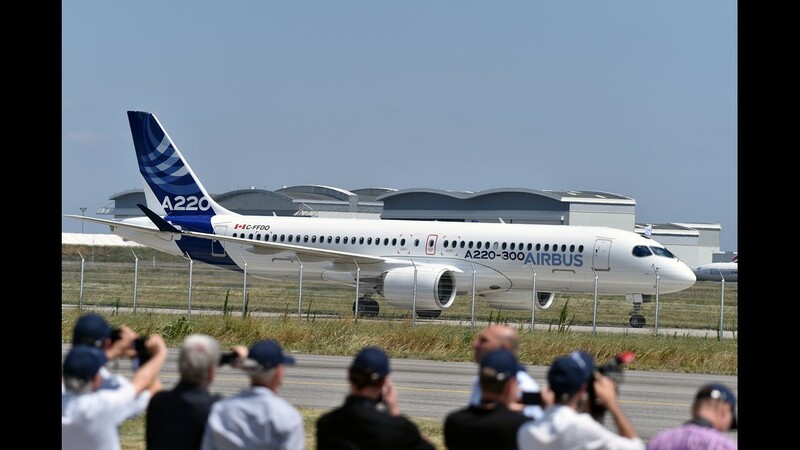 People take photographs of the Airbus A220-300 during its renaming ceremony on July 10, 2018, at the Airbus delivery center in Toulouse, France. 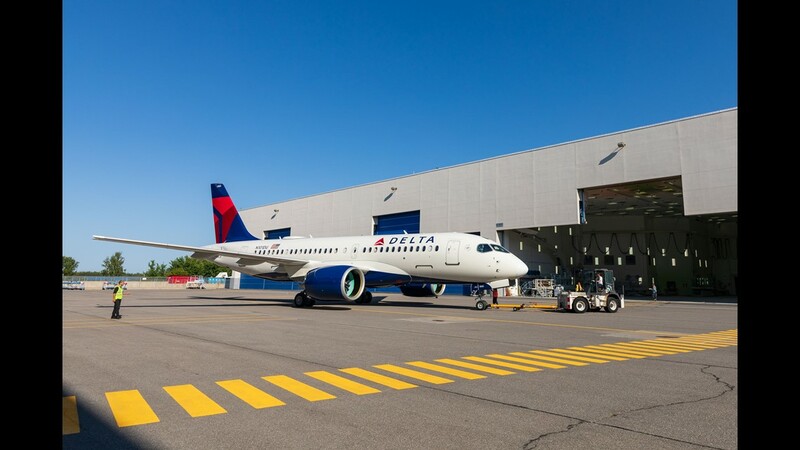 An Airbus A220-300 at a renaming ceremony for what was the CSeries on July 10, 2018 at the Airbus delivery center in Toulouse, France. 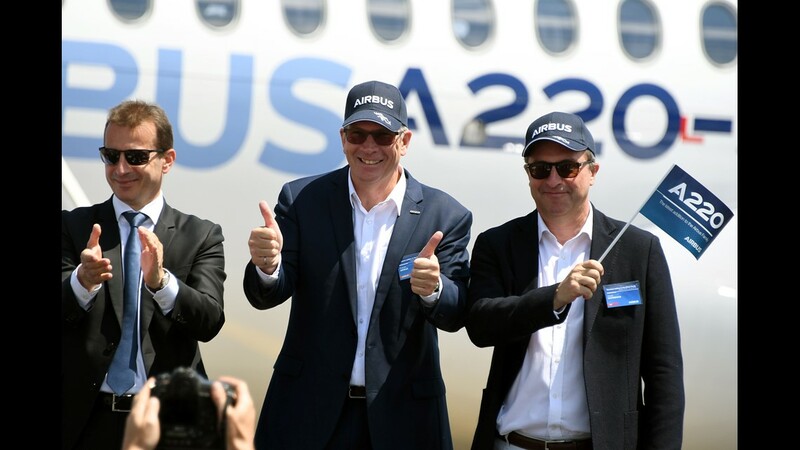 From left to right: Guillaume Faury, President of the Airbus Commercial Aircraft; Rob Dewar head of customer support and engineering of the CSeries Aircraft Limited Partnership (CSALP); and David Dufrenois, head of sales of the CSeries Aircraft Limited Partnership (CSALP); pose in front of an Airbus A220-300 on July 10, 2018 at the Airbus delivery center in Toulouse, France. 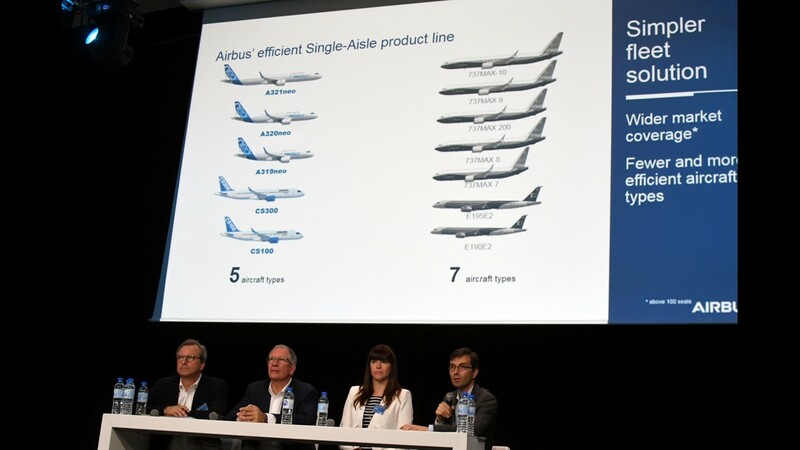 Rob Dewar (second from left), former General Manager for the CSeries at Bombardier Aerospace and now Head of Customer Support and Engineering at Airbus, answers questions from the media during a press conference for the renaming of the CSeries (to A220) at Airbus’ headquarters in Toulouse, France, on July 10, 2018. 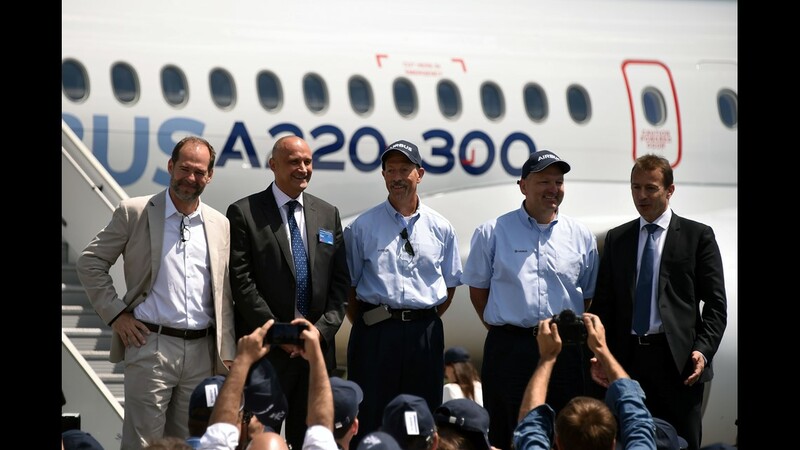 From right to left: Guillaume Faury, President of Airbus Commercial Aircraft; two Airbus A220 pilots; Eric Schulz, Airbus Chief Commercial; and Philippe Balducchi CEO of the C Series Aircraft Limited Partnership (CSALP); stand in front of an Airbus A220-300 at a renaming ceremony on July 10, 2018 at the Airbus delivery center in Toulouse, France. 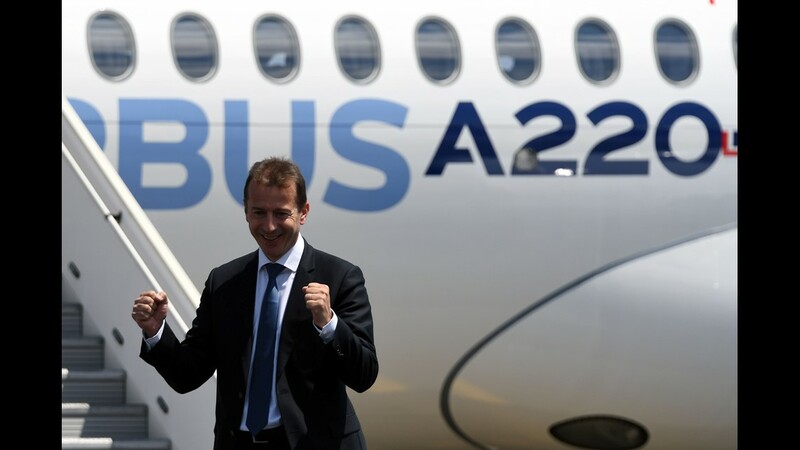 Guillaume Faury, President of the Airbus Commercial Aircraft, gestures during the renaming ceremony for the Airbus A220 (formerly Bombardier’s CSeries) on July 10, 2018 at the Airbus delivery center in Toulouse, France. Bombardier's CSeries commercial jet sits on the tarmac prior to its first flight on Sept. 16, 2013. The new Bombardier CSseries aircraft is shown in Mirabel, Quebec, on Sept. 16, 2013, before it took off for the first time. Bombardier carries out final preparations for the maiden flight of its CSeries aircraft on Sept. 16, 2013, at the company's factory in Mirabel, Quebec. Bombardier's new CSseries aircraft is shown in Mirabel, Quebec, after taking on its maiden flight on Sept. 16, 2013. Bombardier's new CSeries jetliner takes off on its maiden flight on Sept. 16, 2013, in Mirabel, Quebec. Bombardier's new CSeries jetliner takes off on its maiden flight on Sept.16, 2013, in Mirabel, Quebec. The new Bombardier CSseries jetliner takes flight on Sept. 16, 2013. The aircraft flew from Bombardier's Mirabel factory in Quebec . 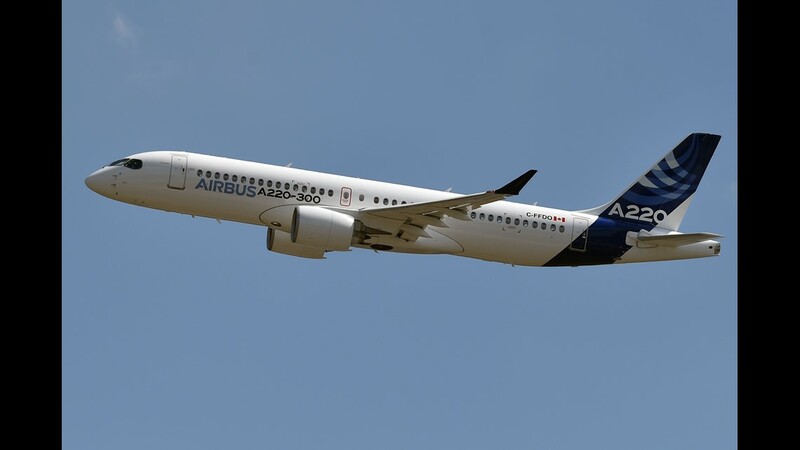 Bombardier's CSeries jet takes off on its maiden test flight at the company's facility in Mirabel, Quebec, on Sept. 16, 2013. Bombardier CEO Pierre Beaudoin speaks to the press about the new CSseries jetliner on Sept. 16, 2013. Bombardier’s CSeries aircraft is shown after landing at Montreal’s Mirabel Airport on Sept. 16, 2013. The flight crew of Bombardier's new CSeries aircraft greets the crowd at Montreal’s Mirabel Airport. A Bombardier CS 100 painted in the colors of Swiss International Air Lines on June 14, 2015. Reporters walk near the tail of a Bombardier CS100 painted in the colors of Swiss International Air Lines on June 14, 2015. 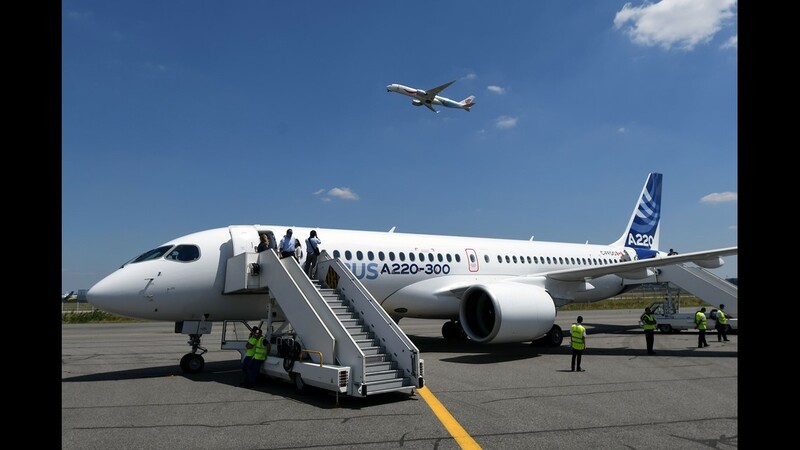 Reporters walk near the Bombardier’s CS 100 and CS 300 aircraft ahead of the Paris Air Show in Le Bourget, France, on June 14, 2015. 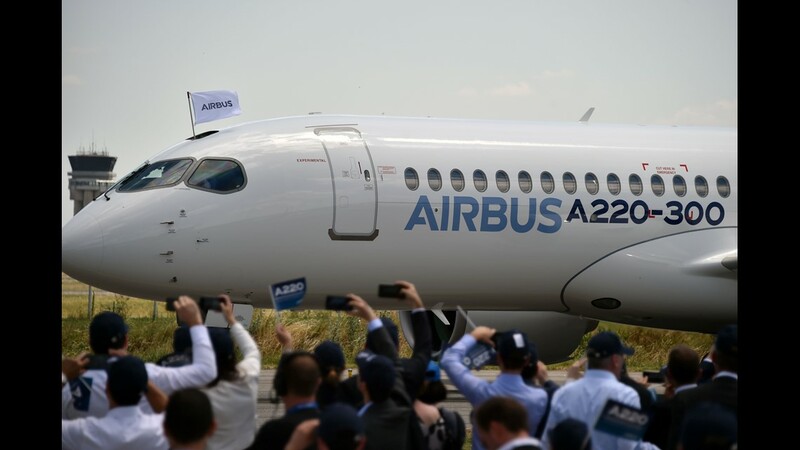 A Bombardier CS 300 is seen as part of Bombardier’s “static ground display” at the Paris Air Show in Le Bourget, France, on June 14, 2015. These mock-up seats on the inside of the CS 100 flying at the 2015 Paris Air Show give a feel for the space in the storage bins (June 14, 2015). A shot of the overhead passenger controls on the Bombardier CS 100 at the Paris Air Show. A view down the length of the cabin of Bombardier's CS 100 that will fly at Paris Air Show in Le Bourget, France, on June 14, 2015. 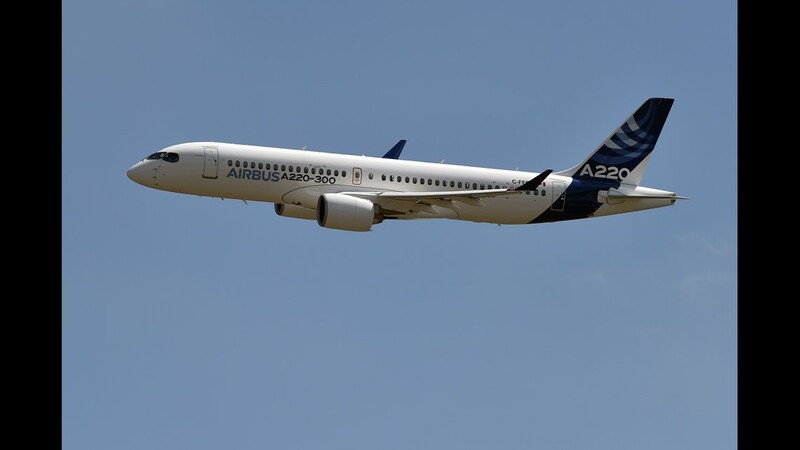 Bombardier’s CS 100 and CS 300 aircraft are seen ahead of the Paris Air Show in Le Bourget, France, on June 14, 2015. A Pratt & Whtiney logo can be seen on one of the CS 100 engines made by the company as seen in Le Bourget, Paris, on June 14, 2015. A Bombardier CS 100 painted in the colors of Swiss International Air Lines is seen ahead of the Paris Air Show in Le Bourget, France, on June 14, 2015. Reporters wait in front of the "Bombardier chalet" at the Paris Air Show for their chance to view the inside of a CS 100 jet on June 14, 2015. 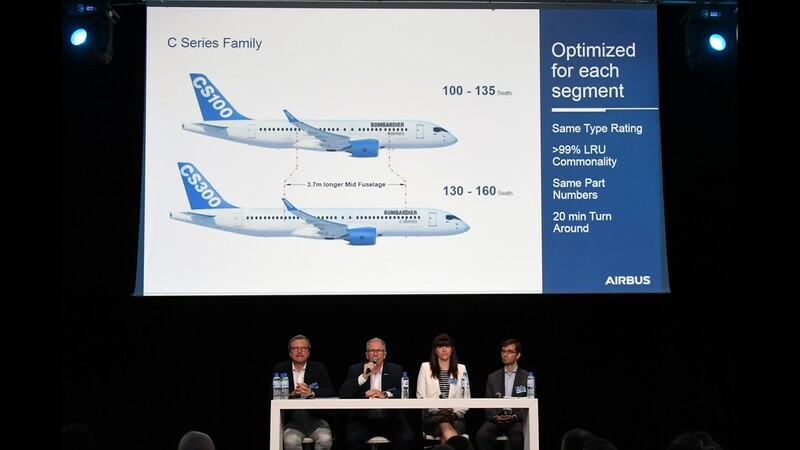 The windows on Bombardier's CS 100 will be about the same size as those on a Boeing 777. 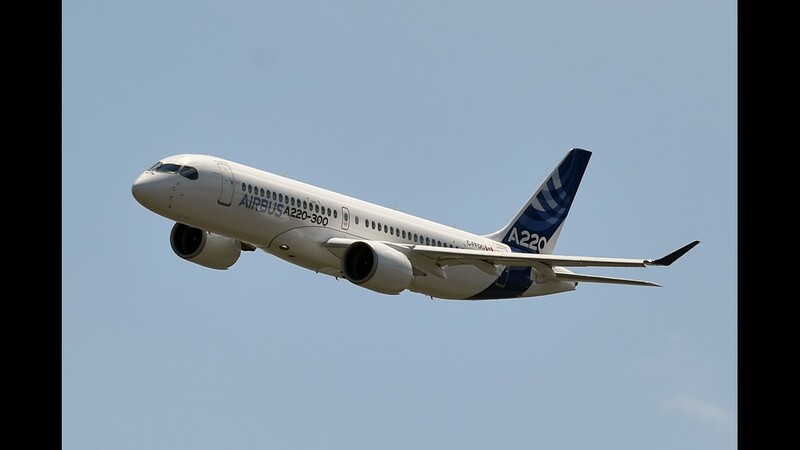 Reporters snap photos of a Bombardier CS 100 ahead of the Paris Air Show on June 14, 2015. From the cabin, a view of the wing-tip of Bombardier's CS 100 the Paris Air Show in Le Bourget, France, on June 14, 2015. The tail of Bombardier’s CS 100 is seen ahead of the Paris Air Show in Le Bourget, France, on June 14, 2015. Reporters walk near the tail of a Bombardier CS 100 painted in the colors of Swiss International Air Lines on June 14, 2015. Korean Air took delivery of its first Bombardier C Series CS300 in Mirabel, Quebec, on Dec. 22, 2017. Airline and Bombardier officials pose for a photo as Korean Air took delivery of its first Bombardier C Series CS300 in Mirabel, Quebec, on Dec. 22, 2017.